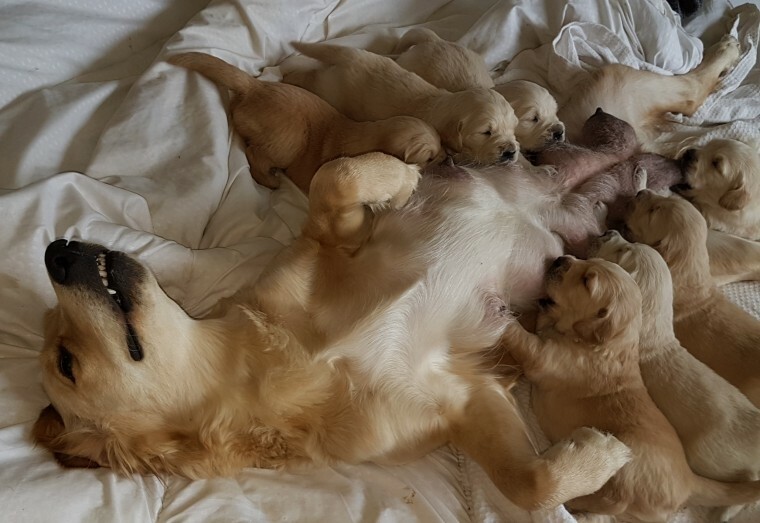 Gorgeous pure breed Golden Retriever Puppies for sale. Puppies will be Fully socialised with adults& children from 3 wks of age & can be seen with both parents which are our family pets and have very loving friendly, loyal temperaments. Parent's are KC registered with several show champions in their pedigrees, however pups won't be as we want them to go to forever family homes and not used for breeding. Pups will be weaned onto top quality brand 'Akela' puppy food & will leave with a supply of this food in their pack with puppy pads & a piece of blanket with mum's scent to help them settle into their new home. They will Vet checked microchipped & worked before leaving from 15th April @ 8wks old A 200 non refundable deposit secures your pup of choice, viewings Easter weekend..